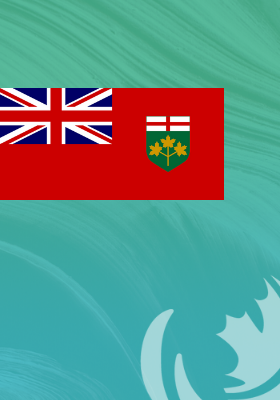 On November 29th the new government of Ontario released a new environment plan. It discusses issues such as land conservation and solid waste reduction. There is a climate change chapter that commits Ontario to achieved reductions 30% below 2005 levels by 2030. This is a less aggressive target than the 37% GHG reduction target below 1990 levels by 2030 in Ontario’s previous climate plan. Below is a quick review of key aspects of the plan that relate to energy efficiency. The plan was produced quickly, and requires further detail before policy implementation. Thus, I will discuss what the province could do to ensure the effectiveness of the policies announced, and where some gaps remain. Natural gas conservation is expected to contribute to 18% of the additional reductions needed to hit the new 2030 target. The plan calls for the “gradual expansion of programs delivered by utilities”, “subject to discussion with the Ontario Energy Board”. There is significant untapped cost-effective opportunities to save natural gas in Ontario. Leading jurisdictions have directed utility boards to invest in “all cost-effective” conservation opportunities as part of “least cost resource acquisition”. Ontario could look to the energy efficiency resource standards in leading jurisdictions demonstrating the potential to save 1.5% annually. The plan envisions creating an organization called the Ontario Carbon Trust that would leverage private sector capital to fund emissions reduction projects. The organization will receive $350 million from the government, and will also oversee a $50 million “Reverse Auction” for greenhouse gas emission reduction projects. The organization will receive ongoing funds from penalties paid by large emitters. For comparison purposes, note that the Ontario cap and trade system was expected to generate $1.9 billion per year in revenues for energy saving and clean energy programs. The name is reminiscent of the UK Carbon Trust, established to disburse monies from a carbon levy. The desire to leverage private sector capital could follow “Green Bank” models found in New York and Connecticut. These organizations are seeking to create a stronger private market for energy efficiency goods and services. It will be important that the reverse auction and other projects of the Ontario Carbon Trust include rigorous monitoring and evaluation of energy saving and GHG reductions. Indeed, to attract private sector capital, the organization will need to play a leadership role in demanding strong quality assurance and standardization to prove that energy savings and GHG reductions are “bankable”. The plan includes a commitment to review the building code, yet does not commit to a staged strengthening of codes towards high-performance buildings, like the BC Energy Step Code. Consultations on the building code took place in 2017 with suggested energy efficiency and climate adaptation improvements, yet these changes were never implemented. The plan might result in taking a fresh look at these improvements. The plan also says the government will “work with the Ontario Real Estate Association to encourage the voluntary display of home energy efficiency information on real estate listings to better inform buyers and encourage energy-efficiency measures.” After leaving out the previous government’s consideration of requiring disclosing information on energy performance prior to the sale of the home, home energy labels are back on the agenda as a voluntary program. Ideally this initiative should move towards a mandatory standard. To smooth the way, new methods such as the use of predictive models could be explored to make home energy assessments quicker and easier. The plan also provides support for the Green Button Standard for customer data access. It makes no mention of benchmarking large building energy performance. While the details are not clear, the plan does mention support for vehicle electrification infrastructure and estimates that 16% of its reductions will come from low-carbon vehicles uptake. A further 15% of the reductions will come from “innovation”, which includes switching buildings from highly carbon-intensive fuels to electricity. It should be noted that continued support for electricity conservation and demand management will be required to maintain Ontario’s low-carbon electricity advantage and to avoid unnecessary electricity generation costs. Ontario is projected to face a capacity shortage within five years when the Pickering nuclear plant closes and other plants are refurbished. Without conservation and demand management, Ontario will likely need to use more expensive and polluting natural gas. Increased electric energy efficiency can make room for greater electrification and manage these new loads in a more cost-effective and less polluting manner. The plan calls for a continuation of a high-performance building automation strategy and ensuring government investments in its own buildings maximizes energy cost savings. There is no mention of energy intensity targets for public sector buildings or mandatory energy reporting for public sector buildings. Neither is there mention of changing public sector borrowing requirements to enable contracts where loans are paid off with energy savings. These guaranteed energy performance contracts are examples of leveraging private capital. Thus changing policies within the public sector could complement the new Ontario Carbon Trust’s objectives. The plan makes note of promoting water efficiency through measures that also save energy, such as standards for household fixtures, dishwashers, and washing machines. This could present an opportunity to increase awareness of the water-energy nexus. This should also include recognizing the large amount of water used in electricity generation. The plan includes a section on the need to increase the resilience of buildings in the face of climate impacts. A further link could be drawn between efficiency and resilience. For example, more efficient buildings are able to maintain temperatures during energy disruptions, and reduced electricity demand increases reliability and adds to a system operator’s ability to respond to emergencies. Did we miss anything? Drop us a line and let us know. The provincial policy scorecard we are currently developing will track these policies, provide a benchmark with other provinces, and help facilitate best practice sharing.